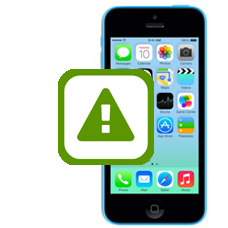 Fixing iTunes iPhone 5c error codes is an area our in-house iPhone technicians have a vast experience with. We can correct and repair many of the common iTunes error codes and resolve many of the more unusual iTunes error codes. These are usually displayed during an iTunes firmware upgrade or firmware restore on the iPhone 5c. If iTunes does display one of these specific error codes we can usually fix the issue, below is a list of common iTunes error codes we can fix for you. We repair iTunes errors for the following iTunes error codes iPhone 5c error code 1, iPhone 5c error code 9, iPhone 5c error code 21, iPhone 5c error code 1669, iPhone 5c error code 4005, iPhone 5c error code 3004. Please note if the exact error code is not listed above we can still in the majority of cases fix the issue on your iPhone 5c. * Our normal repair turnaround times are 3 - 5 working days. We always aim to complete repairs as fast as possible. This is an in-house Apple iPhone 5c repair service, when ordering this service you are required to ship your iPhone into our repair centre for works to be undertaken. I replaced the screen on my iPhone 5c and it would not find a network it kept on searching so I did a reset to factory settings and update, it now updates to a point and stops then comes up with an error 1 code, can you fix this problem.